When my husband brought home Garden Fresh Gourmet Screamin’ Hot salsa for me the other day I actually said, “Yeah. I’ll bet,” as I was putting it in the refrigerator. I’ve tried a zillion salsas, bloody mary mixes, sauces, and other foods that promise to send steam shooting from my ears, and nine times out of ten they’re merely a little peppery or oniony. Fortunately, I like mild salsas, drinks, and sauces too, so it’s not that huge of a deal to me. It’s just that when it comes to food, I think the term Hot gets overused. 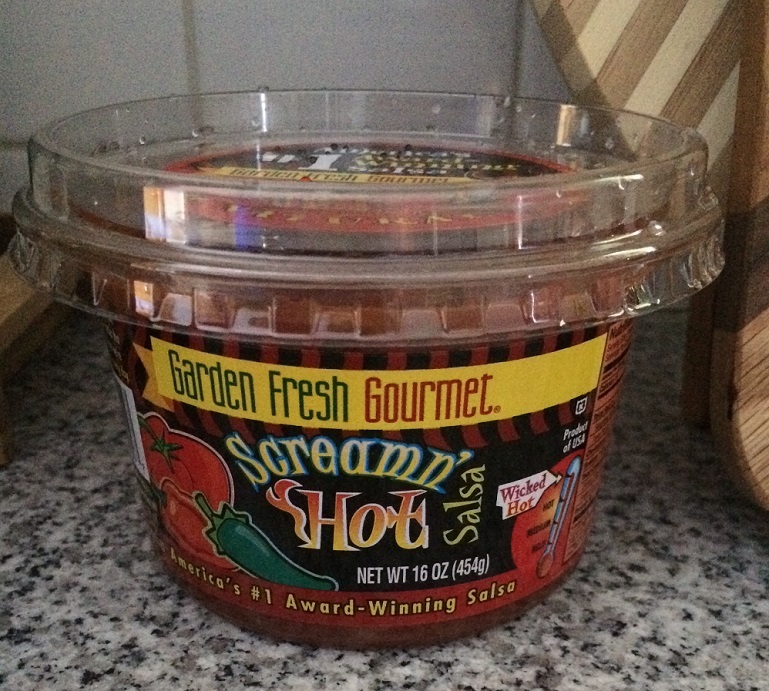 Garden Fresh Gourmet Screamin’ Hot Salsa. Photo by Holly Tierney-Bedord. All rights reserved. With expectations pretty low, I opened my new salsa to give it a try. My first impression? This went on for about six chips worth of salsa, at which point I had to give up and put it away. I’m not even sure I’m recommending this as something you’d want to eat. I’m more just recommending it as something that is honestly very, very hot. Next PostAll new photography available on Society6! Finally I found something hot!